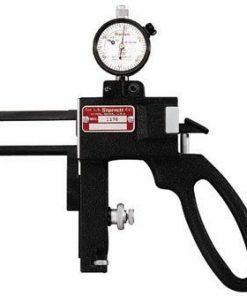 If you need a precision measurement instrument to inspect recesses quickly and easily, you should definitely consider using a groove gage. Groove gages are wonderful instruments that can determine whether or not the workpiece is within tolerance, within a few seconds! Don’t be fooled by the light weight properties of groove gages. Their rigid cast frames make them very durable and suit virtually any application. Whether you need to measure groove diameters or groove thicknesses, groove gages are a must-have instrument in your facility. 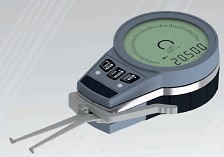 Willrich Precision is a market leader in precision measurement instrumentation. As our company was founded in 1971, you will be able to tap onto more than four decades of experience in the gaging, inspection and metrology niche. 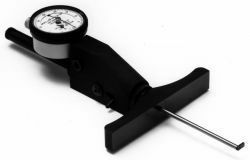 We carry a wide range of sophisticated metrology products, including groove gages. What’s more, we have partnered with leading ISO:17025 Labs and all your calibration needs are covered too. 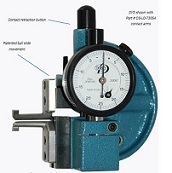 When you browse through our wonderful groove gage range, you can definitely find amazing products such as groove thickness gages and groove depth gages. 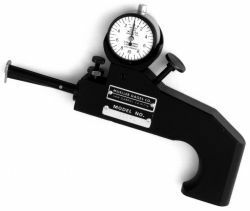 At Willrich Precision, we are also committed to helping you stay on budget while fulfilling your groove measurement needs. Start browsing through our growing inventory of measurement instruments now, and source for high quality groove gages with ease.